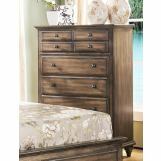 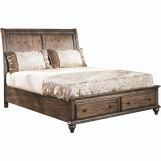 Create a relaxed, casual retreat with this gorgeous bedroom collection. 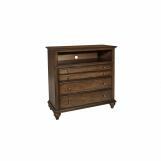 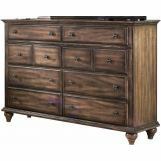 It boasts hardwood construction, turned bun feet and two dovetail drawers with side-mounted glides. 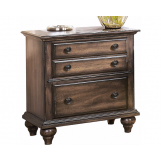 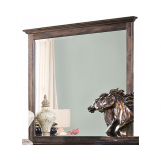 The weathered brown finish lends appeal to any space.